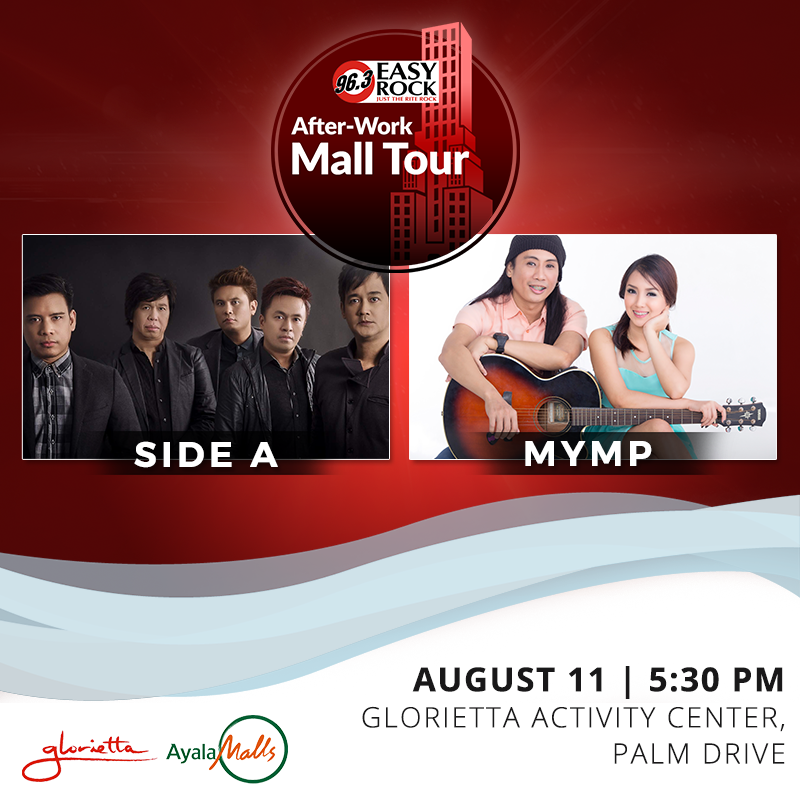 It’s the time of the month again for the Easy Rock After-work Mall Tour! Enjoy your Friday night with Team Easy Rock, Side A, and MYMP! For sure there will be lots of surprises, fun, and giveaways just for you! So block your calendars and be there at the Glorietta Activity Center, Palm Drive and bring your friends with you! Don’t forget and be there by 5:30PM! See you!